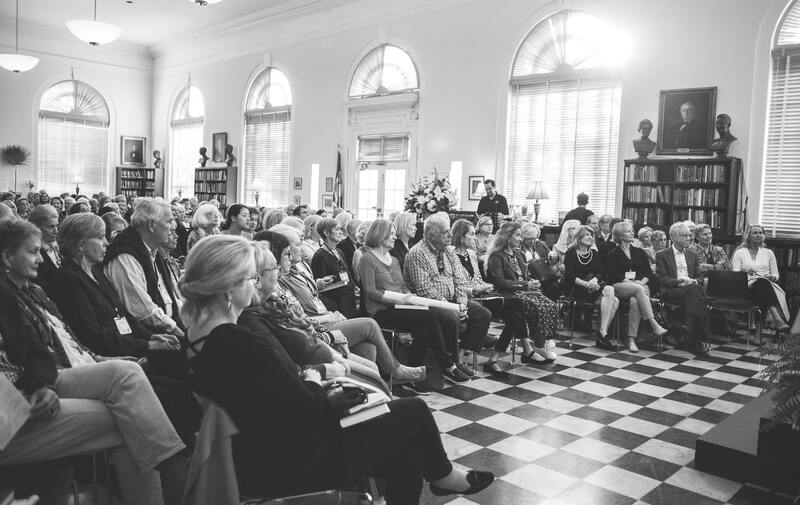 Patrons of the C2C Literary Festival 2018 gather at the historic Charleston Library Society for one of the weekend’s many engaging author salons. 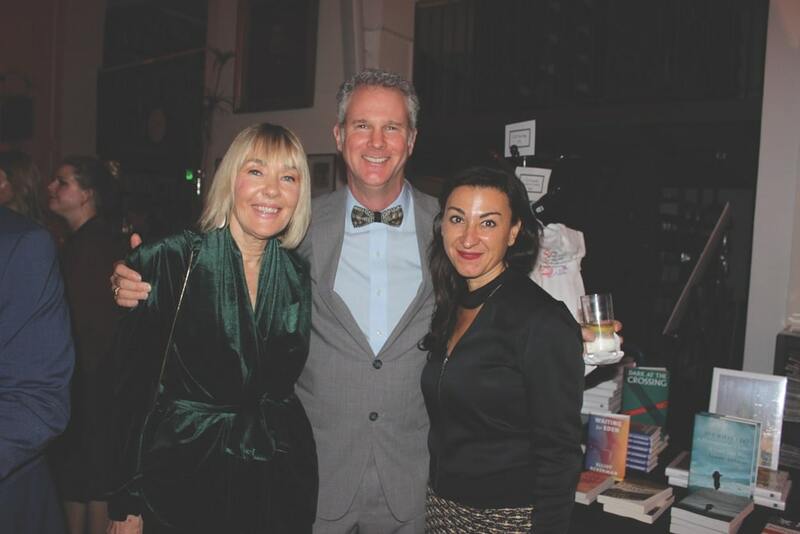 VIE sponsored the 2018 festival, hosting the Opening Night Candlelight Gala at the CLS and a discussion with Tina Brown, author of The Vanity Fair Diaries, at the historic Dock Street Theatre. VIE: What sparked the idea for the Charleston Farmhouse? 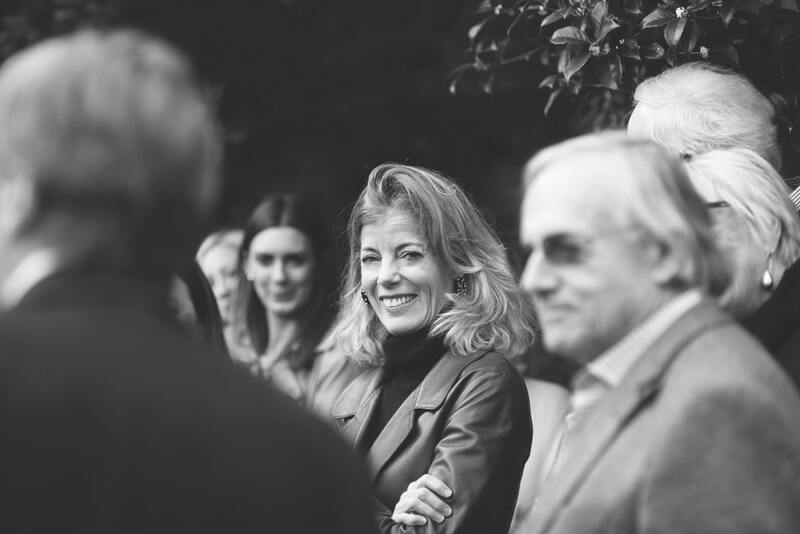 Deborah Gage: When I spearheaded the appeal to save Charleston Farmhouse in the 1980s, my mantra was “preservation versus change.” There was no point to saving Charleston if it was going to be changed in the process, becoming a shrine. 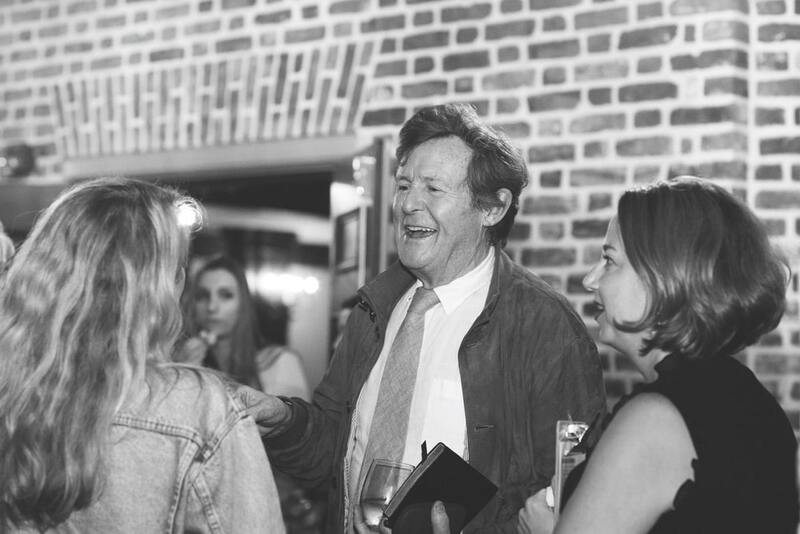 Rather, Charleston had been the touchstone for thought, ideas, creativity, and gathering together of artists, writers, thinkers, mathematicians, economists, composers, and musicians for sixty years; thus this buzz and ferment should continue—which gave birth to the Charleston Festival in Sussex. Given that I lead a transatlantic life, and as I enlisted support to save Charleston on both sides of the pond, I realized there was a shared interest in this kind of colloquium in both places. So it was only a matter of time that this festival would have a dual life, once it had found its feet and was firmly established in the UK. Rather, Charleston had been the touchstone for thought, ideas, creativity, and gathering together of artists, writers, thinkers, mathematicians, economists, composers, and musicians for sixty years; thus this buzz and ferment should continue—which gave birth to the Charleston Festival in Sussex. VIE: What did you want to achieve? Is it being achieved? What are the long-term goals? 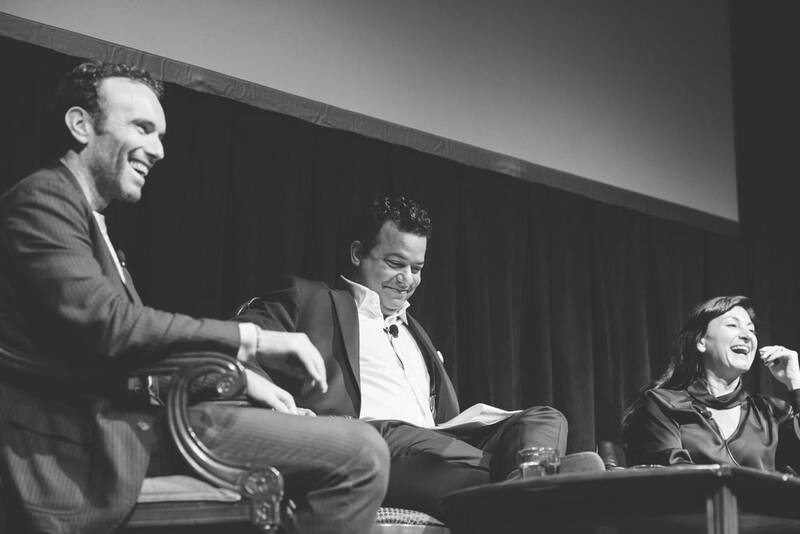 DG: My own dream, ultimately, when we have achieved a track record to merit the underwriting, is to see the best of the Sussex May event speakers come to the US, and vice versa: the best of the US November speakers go to Sussex the following May. That way, we would become one of the first truly transatlantic festivals! VIE: How do you get such a perfect mix of speakers? Diana Reich: An ideal mix of speakers would all be excellent of their kind in terms of quality, whatever the genre (e.g., fiction, nonfiction, drama, film, poetry). I do start with a wish list that is based on reading and reviews of contemporary authors, consciousness of topics and ideas that are in the zeitgeist, and a need to achieve a balance (well-known versus younger authors, female versus male contributors, diversity, representing different genres, etc.). A wish list has to be adaptable depending on circumstances such as speaker availability. The most important attribute of a literary programmer is the ability to move on when necessary and to seize or create new opportunities. 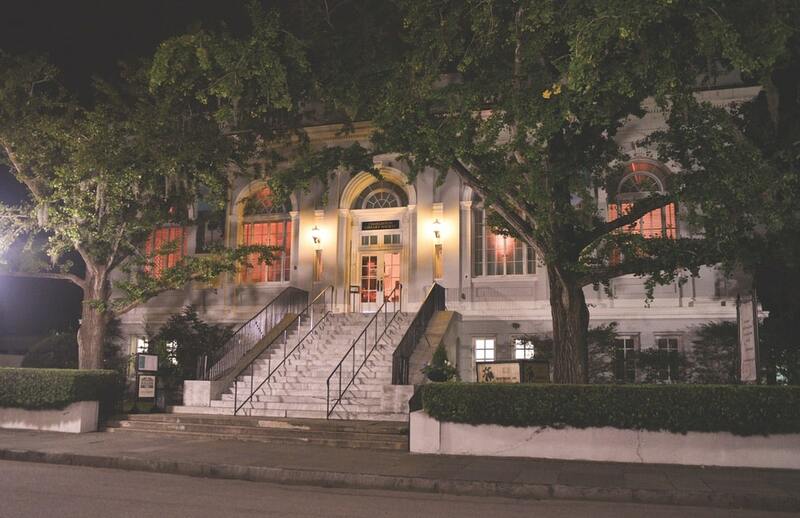 Dock Street Theatre, located in the beautiful historic French Quarter of Charleston, South Carolina, is the country’s oldest theater still in use. VIE: Do you think of these two festivals as literary or as festivals of ideas? DR: I think of them as both literary festivals and festivals of ideas. Great literature is a tried-and-tested way of introducing and communicating new ideas, from the classics to modern work. Stories and books that endure are usually many layered and stimulate thought and discussion in different eras. VIE: Did you come up with the format of conversations, with an interlocutor asking questions? Do authors like this better than reading from their books? DR: I am not sure whether I was the originator of this concept, but I have embraced it and adhere to it most of the time, and it has been replicated elsewhere. Authors sometimes need convincing that this is the best way to do themselves justice. In my experience, it is far more engaging and dynamic than a solo reading or talk. VIE: Are literary festivals one of the best ways for authors to sell their books in today’s weird publishing world? DR: Absolutely, yes! 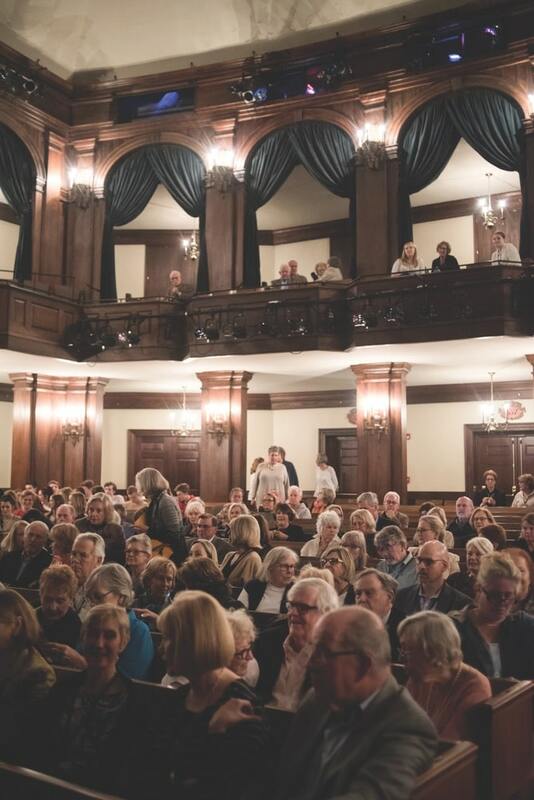 An appearance at a well-run literary festival only reaches the audience that attends an event. Most festivals are promoted and marketed very widely, so authors who are taking part are drawn to the attention of a large reading public. VIE: I am sure you get new authors who want to be included. How do you deal with authors who ask if they can appear? DR: This is one of the most difficult aspects of the role. It is essential to be selective and discriminating, especially for boutique festivals such as ours—by that I mean festivals with a relatively small number of carefully curated sessions. Larger festivals, with hundreds of sessions in different venues, can accommodate a wider range of participants. It is important not to raise expectations but to be straightforward. I usually thank them for their interest in the festival and explain that as a small festival, we are only able to respond positively to a tiny percentage of authors who approach us. The reality is that we hardly include authors who approach us in the first instance. Virtually all speakers are invited, and some are wooed for years. 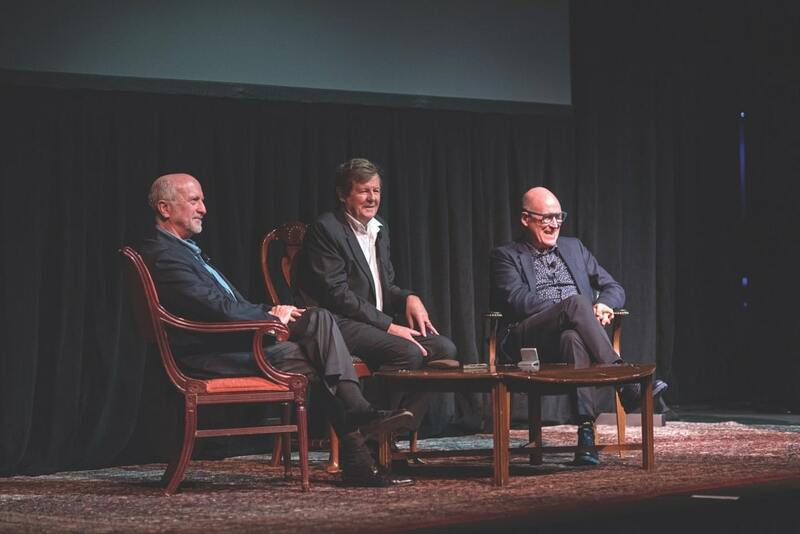 Christopher Dickey, David Hare, and William Nicholson discuss “The Demise of Democracy” at Dock Street Theatre. 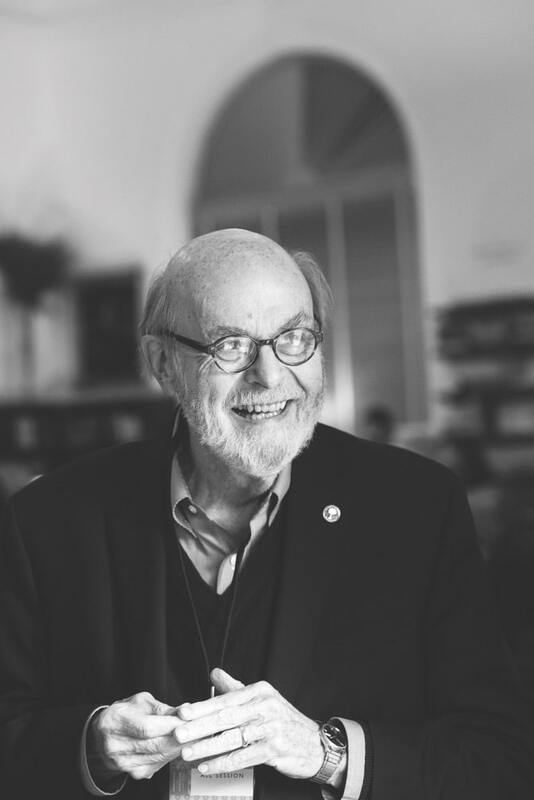 Author Bernard Cornwell speaks with Charles Spencer, the ninth Earl Spencer, on the latter’s latest historical fiction novel, To Catch a King: Charles II’s Great Escape. VIE: Has your role changed over thirty years or have you always been the artistic director? DR: My role has only changed insofar as I was originally artistic director of a tiny series of events with audiences of about thirty in the Apple Shed in Charleston, Sussex—former home of the Bloomsbury group artists Vanessa Bell (sister of Virginia Woolf) and Duncan Grant. This has now become a prestigious annual festival each May, which takes place in a marquee that seats four hundred and hosts around a hundred participants. It is celebrating its thirtieth anniversary in May of 2019. It also spawned a minifestival, Small Wonder, which takes place in autumn and focuses on short stories and short-form writing. 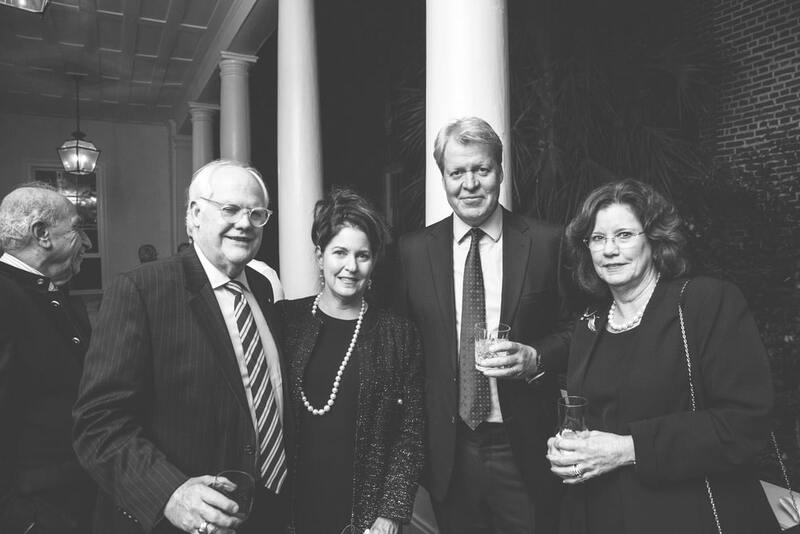 When we founded the Charleston Literary Festival in Sussex, it was a relatively original idea. There were only two or three others in the UK, established around the same time. There are now over three hundred literary festivals in the UK. VIE: Why do you think that the UK has so many literary festivals? DR: The UK has a very rich literary tradition. It is a small island with a fairly homogeneous culture and it is easy for ideas to catch on and spread. It is also easy for authors to travel to most parts of the country. England has a strong communal tradition, whether it be amateur dramatics, choirs, or local sports. To some extent, literary festivals are an extension of this. Also, the UK has a national Arts Council (which was actually founded by Keynes) that invests heavily in the arts and culture. It is funded by the government but not run by politicians. VIE: What do you think is the main difference between C2C and the Charleston Festival? DR: So far, the main difference is growth. The Charleston Festival in Sussex is a venerable thirty years old. C2C is just two years old; however, it has taken root far more quickly than I had anticipated. Also, America is a continent and the UK a small country—this is bound to make a difference in terms of distances that authors are prepared to travel. C2C is probably still a little more informal than Charleston, Sussex. The biggest difference is that there is no tradition of receptions and parties woven into UK festivals. That would be problematic in Charleston, Sussex, which is a rural location. It is a delightful extra element in Charleston, South Carolina. Also, they have discovered writers by attending an event at the festival that they would never have come across or might have dismissed. 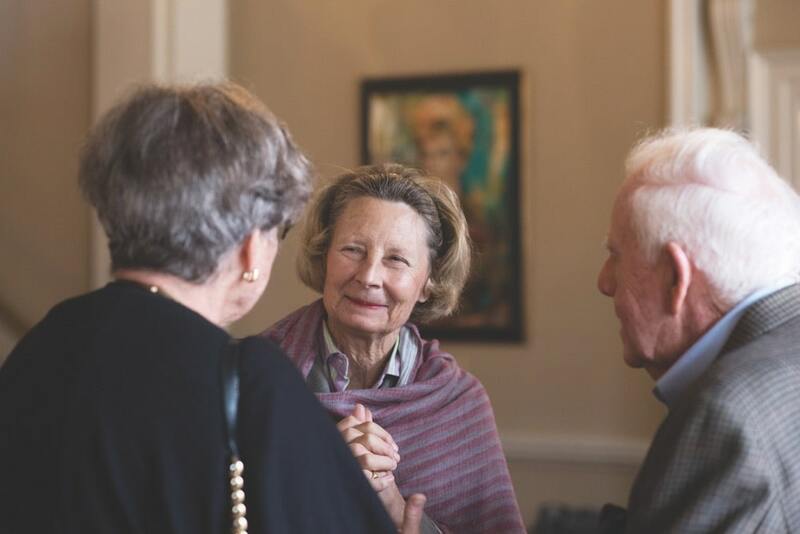 A literary festival is a very convivial experience; lifelong friendships are frequently established. VIE: Have you ever heard from past audience members that attending the festival changed their lives in some way? 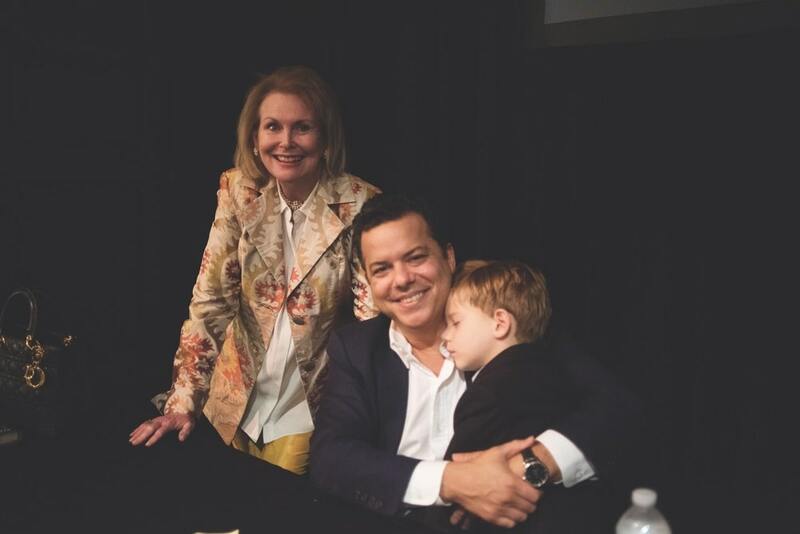 DR: Regarding life-changing experiences, people have said to me on many occasions that hearing an author or discussion has been transformative in terms of their thinking and feelings about various issues. Also, they have discovered writers by attending an event at the festival that they would never have come across or might have dismissed. 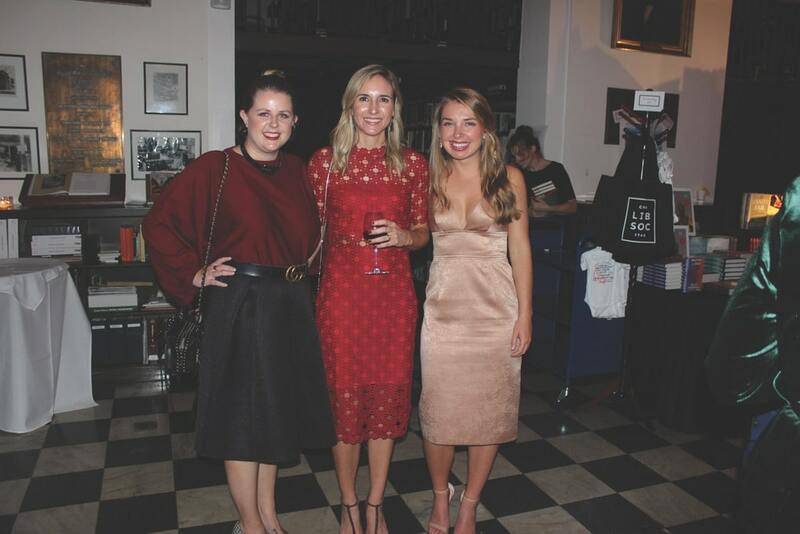 A literary festival is a very convivial experience; lifelong friendships are frequently established. As far as speakers are concerned, there have been some romances—probably among the audience as well, although I do not know this. Literature is a wonderful vehicle for engendering empathy; it allows us to inhabit different lives. That is bound to change the way we think and feel on many occasions. This can happen by solitary reading. Drama and film can have the same effect, but literature is more contemplative. 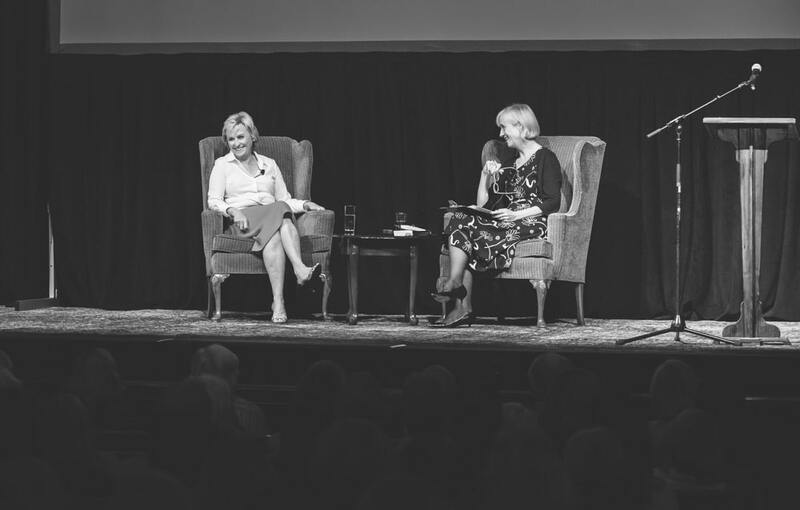 Former Vanity Fair and New Yorker editor-in-chief Tina Brown (left) speaks at Dock Street Theatre on her many publishing roles and her latest book, The Vanity Fair Diaries. 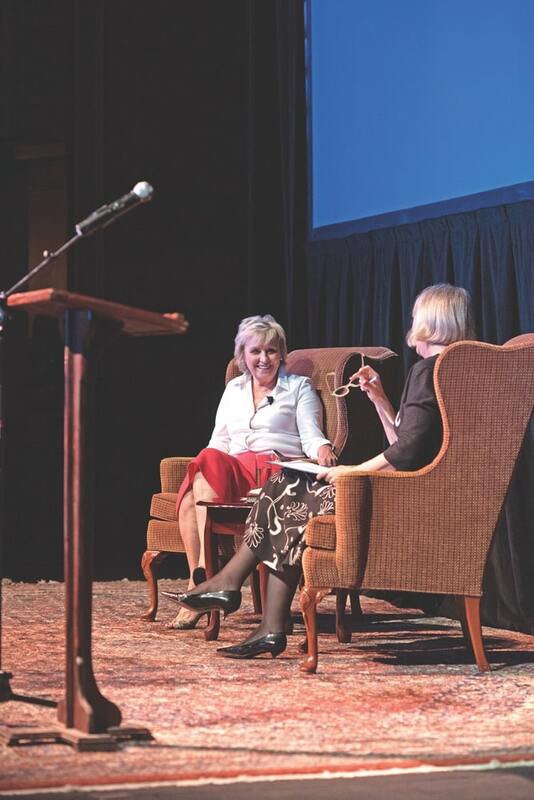 Deborah Gage, savior of the Charleston Farmhouse and visionary of the Charleston to Charleston Literary Festival. 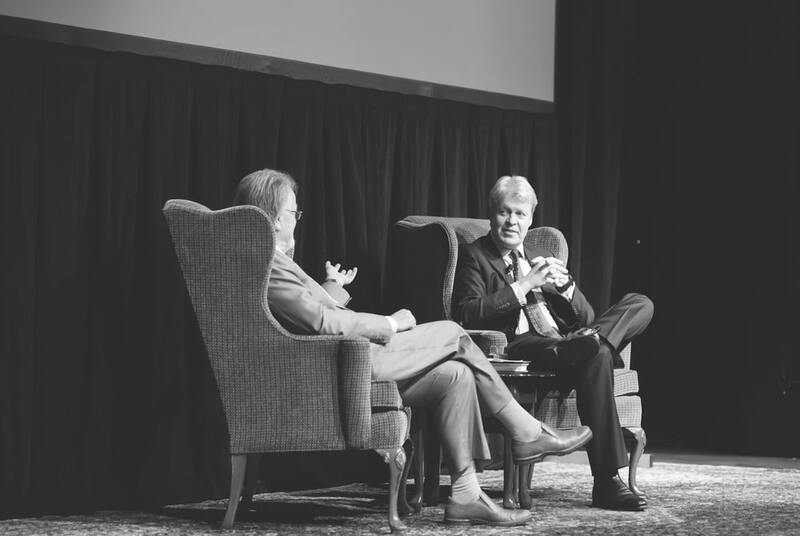 To view more images for the Charleston to Charleston Literary Festival, click here. For information and tickets, visit CharlestontoCharleston.com.